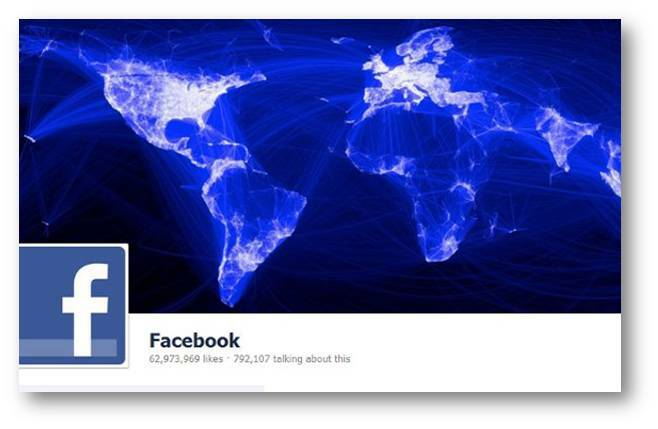 Facebook Timeline has been the hot new topic of discussion everywhere on digital sphere. We don’t really know how all the users have perceived this new look. Although everyone loved the old look, Facebook has taken a wild step to keep users hooked to, navigate along and creatively use the timeline. When users are taken into account, a few seem to be skeptical about the timeline while few others seem to enjoy the fact that they can share their lifelong stories of interest with their friends, give interesting look to their profile by choosing cover photos that go perfectly with their personality and so on. Brands are slowly switching to Timeline; all that matters to any brand is engagement. They can give the brand page the look that reveals the brand identity. However, gaining quality engagement and interaction with users is going to be a huge challenge. Brands will have to be thorough with the basics of Timeline, all its salient features and strategically come up with solutions of optimum usage of these features. It can be either the purpose of the cover photo, milestone, or highlighting or pinning a post, the reason behind all these features and how one can creatively and effectively use these features will be the actual challenge in the long run. Users log into their Facebook personal profiles to get in touch with their friends, to share their new life stories, like and comment on things that grab their attention, and also associate with and like brand pages and thought provoking pages whilst they continue to engage with their friends regularly. Facebook has become a routine to most of the people and this break from the old Facebook will be interesting to observe. Users have got an opportunity to explore their creative angle, a few enjoy it but few others try their best to explore and experiment. This will gradually become something trendy and also something to look for. As soon as we switch to timeline, we have a natural tendency to scroll down and navigate along the profile. This is similar to rewinding and looking back at all the events that happened over a period. Users can recall the most memorable events, connections with friends and family members in the past and relive them. The same can be observed when a user scrolls down a friend’s profile if it’s a timeline. Rather than random updates along a profile, this new feature that Facebook has introduced makes a profile more like an open scrapbook. This will surely attract many users to spend more time to socialize and create an awesome scrapbook of their own. Albums and photos shared by user can be seen on his/her timeline in a more visually appealing form. The photo thumbnails on timeline are wide as compared to the previous profile format. Users can highlight all the events which are important to them and also add life events anywhere along the timeline. Apart from highlighting which adds visual appeal to user’s timeline, user can add events, albums and other updates anywhere along their timeline by just clicking on the plus sign where ever he/she wishes to. These way users can tell their life story along the timeline, not just from the day they joined Facebook, but from the day they were born by properly organizing the same. All of us users have seen that our walls used to be flooded with Birthday wishes all along, the day we log into Facebook after our Birthday. This used to send back all the previous events that the user was involved in on his profile. Now with the timeline, birthday wishes by friends all are compiled into one single canvas on timeline. This is one of the examples on how neatly organized the new timeline is and how users can look back and smile at their neat personal profile. 7) Users tend to switch to timeline once they see their friends do it. This can also be through word of mouth. 1) I liked Facebook the way it was! Most users might be saying this phrase. They love Facebook so much so that they are just not willing to adapt to changes Facebook is bringing in. Some say this is not a good move while others say we might as well enjoy and adapt to these changes! Some might feel the whole look seems to be too complex to understand and very confusing. Users fail to understand the purpose behind each change that is brought in. They might, however, learn to love it over the period of time. Some users don’t seem to like the whole grid like appearance, canvases divided on either side of a single line – the timeline. The whole impact of personal posts put up on a personal profile has taken a back seat as its mostly highlighting visual appeal. Also photos put up have to be repositioned or else they would look abruptly cut off. Image quality has to be good or else they would look pixilated. Most users who have switched to timeline have noticed that there are irregular gaps along their timeline that say “ads not by Facebook”. This phrase also appears below the cover photo and basic information as well. Is Facebook planning to get ads to appear along a personal profile as well? No one has a clear picture of this as yet but if Facebook does allow ads to appear on personal profiles, it will definitely not be something that users would appreciate. All these thoughts about changes might make users to not like or respond on their favorite brand pages. Users are still getting used to the whole timeline thing and since brands have also moved onto the timeline system, some users might find it hard to follow; this might largely harm the brands performance on this platform for the time being. Brands can make intelligent use of the whole “new look” that they can portray to fans through timeline. They are well aware of the fact that the page “look”now counts as a major step towards getting fans’/users’ attention. Challenge here is that the first look should speak volumes about the brand’s personality. Similar to user’s timeline, if we navigate along a brand’s timeline, brands have the chance to communicate the brand’s autobiography to their fans. Brands will have to keep this as a hook to enhance engagement on their page. Many brands like Fanta, Redbull etc. have already come up with amazing ideas to keep fans hooked to their page. Features like pinning an important post keeps the post up for a week, milestones option will let brands showcase the milestone they have achieved over the period to their fans, highlighting a particularly important post can gain more engagement and if the users wish to navigate along the timeline then the highlighted posts can speak out the story for the brand. Applications and active contests that are run by the brands now cannot be featured as custom tab. Users will have to click through if there are more than three pages to go through. Properly using the pinning option to promote any such activities and contests can make up for the tabs that were used for this purpose earlier. In spite of these above mentioned features, timeline has a many cons when it comes to engagement measures. This will affect the engagement on the brand pages. This is one of the biggest disadvantages of timeline. Tab was important because of the famous “Call to Action” fan gaining strategy. This will be missed but there are various methods by which engagement can be backed. Again as seen on users profile timelines, brand pages also have gaps along the timeline which is still to be explained by Facebook. 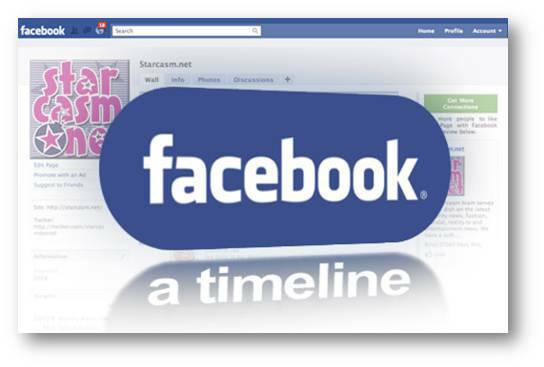 If ads not by Facebook appear along the timeline for brands, it will affect engagement and page appearance immensely. These above mentioned pros and cons need to be taken into account to plan and come up with an amazing strategy that can work even better than the previous format of Facebook. Users will involve and engage well with brands over time. Don’t forget that Facebook was new and different before it demolished Orkut (which was huge back then). The timeline change has definitely hooked many users to the platform. Bianca Radhakrishna handles research and strategy at Social Seety. Quite (seemingly) contrary to her educational background in electrical engineering, she now passionately pursues a career exploring the limitless possibilities that various established and ever-emerging platforms in Social Media offer.